Premier Battles announced Tony D vs. JC as the first battle for their upcoming Apex: The Return event in September 2019. Shotty Horroh announced JC as a battler on the card on January 22nd. 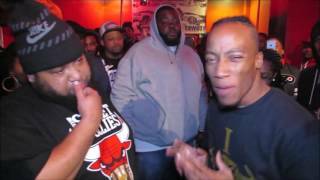 Shotty's return to battle rap has also been announced for the event as well as Nu Jersey Twork as an international. Shotty and Twork do not yet have opponents that have been announced.